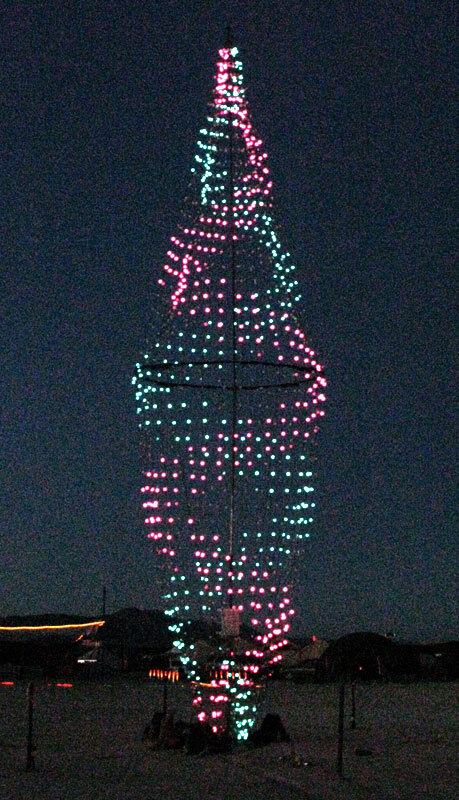 A 40 foot tall rhombus shaped tower, consisting of 32 vertical strings of 48 lights on its outer surface (1536 lights). Partial funding provided by a Burning Man Art Grant. The Diamond Tower was a visual success, but the tower was not structurally sound. 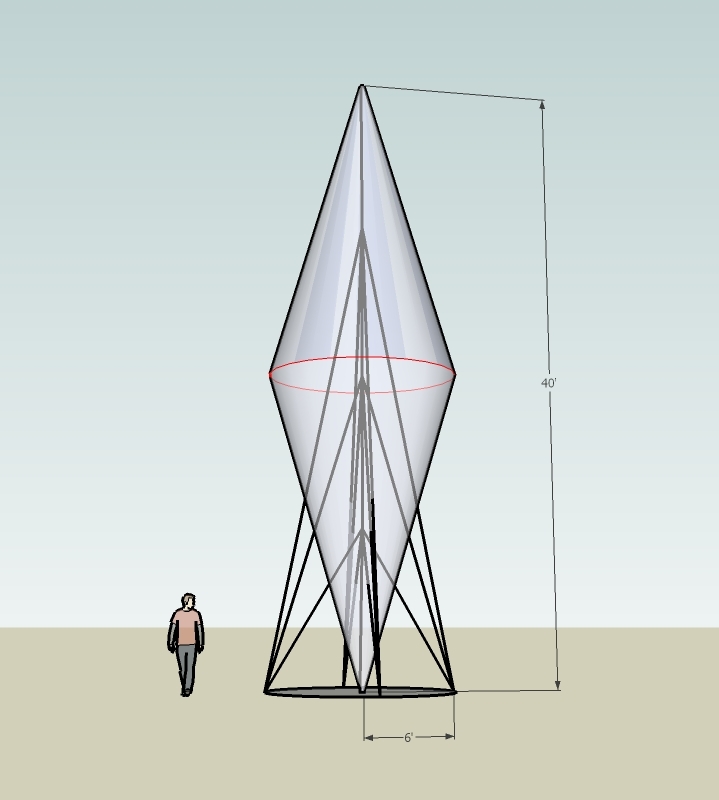 A new tower design will be worked on with the hope of showing this piece again in the near future.